A legend says that whenever the Demon God arises, the Goddess of Fate will summon six heroes and grant them the power to save the world. 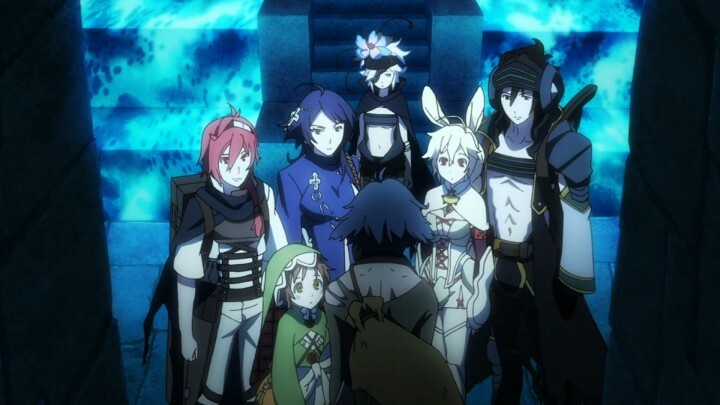 These six heroes are called the Rokka no Yuusha, or Braves of the Six Flowers. This cycle first started hundreds of years ago, and now the Demon God is reviving again for the third time. But this time, a seventh Brave has appeared — one of them is an imposter. 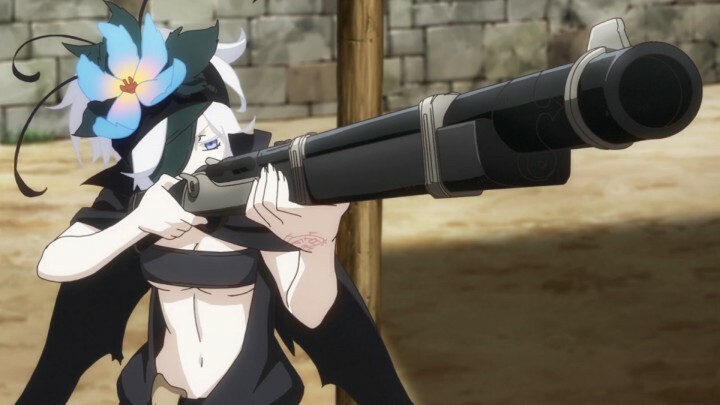 Based on a light novel series, Rokka no Yuusha instantly hooked me in as I attempted to figure out which of the Braves is the fake. Each Brave is unique, with excellent character designs and a robust mix of personalities that mask their hidden sides. While parts of the anime can seem generic and slow, it does a commendable job of tying up its mystery by the last episode, dropping subtle clues the whole way. Supported by solid action scenes and some beautiful scenery, there’s a lot to enjoy about Rokka no Yuusha. 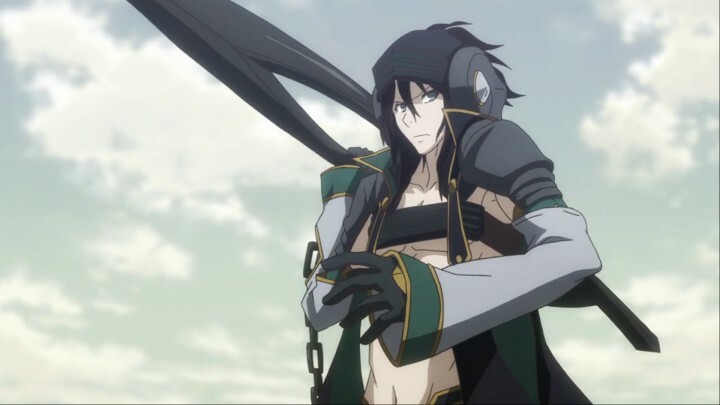 Rokka no Yuusha starts off with a burst of movement and color with the appearance of Adlet Mayer, the self-proclaimed “strongest man in the world”. Adlet is very eager to prove his strength to the Goddess of Fate and be selected as one of the Braves. To do this, he interrupts a holy tournament to show off his combat prowess, quickly defeating two of the kingdom’s strongest warriors at the same time. However, he gets thrown into prison as a result of his rudeness. He spends months in a solitary pit, passing the time by training himself until one day, the Demon God revives again and he receives the mark of a Brave. Princess Nashetania, the Saint of Blades, sets Adlet free and immediately embarks with him to the Land of Howling Demons, where the Braves of the Six Flowers are meant to gather. Before any mystery is even introduced, I was already immersed. As Adlet and Nashetania journey in these first episodes, there’s a great sense of adventure, complemented by the dynamic visuals. 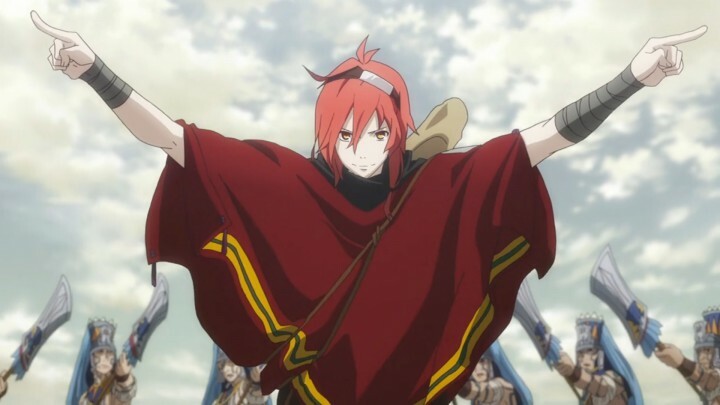 The world of Rokka no Yuusha seems to be heavily inspired by Aztec civilization, and the characters pass through several beautiful locations with vividly-colored vistas, clothing, and weapons. The action is entertaining too, with each character possessing unique abilities. Adlet fights acrobatically using his cunning and a variety of traps. 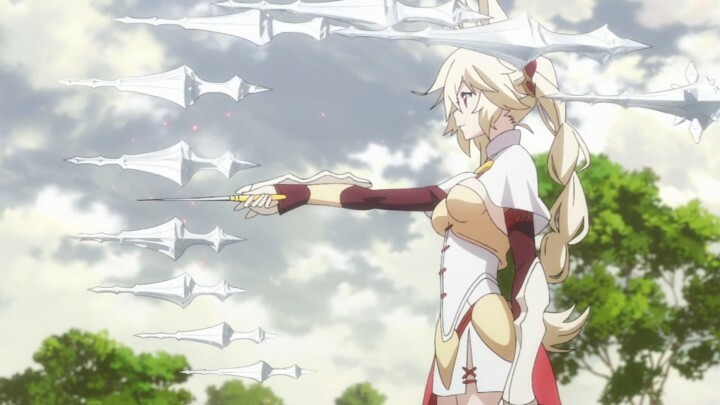 Nashetania can materialize swords out of thin air, conducting them with her rapier. 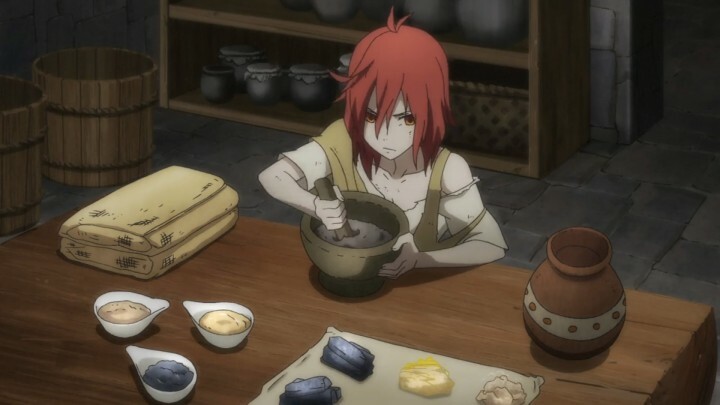 Before any mystery is even introduced, Rokka no Yuusha already had me immersed. Not long into the journey we also meet two other Braves: Fremy Speeddraw, the Saint of Gunpowder, and Goldof, the kingdom’s head knight who wields a giant chain-sword. Each of these new characters is completely different, in everything from fighting style to personality. The anime does a good job of letting you soak in just enough info about them before moving along to the next setpiece; which is good, because already there are hints that there’s more to each Brave than at first glance. This curiosity to find out more adds a lot of momentum to the story. 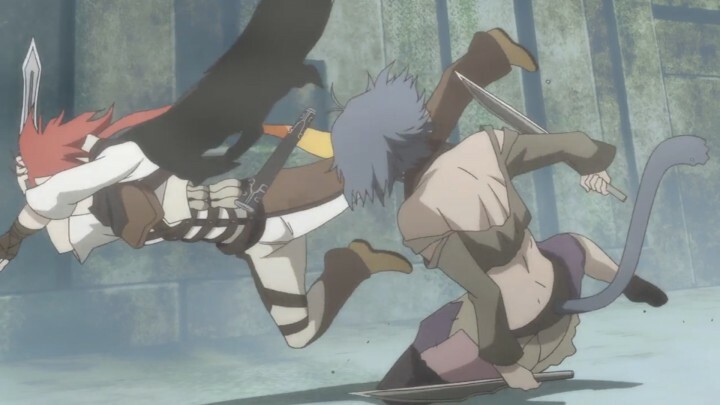 However, tensions rise immediately as Goldof accuses Fremy of being the Brave Killer, a rogue warrior that has been eliminating potential Braves. The four start fighting among themselves, and this sets up the tone of the rest of Rokka no Yuusha: trust no one. Following their recent scuffle, the four Braves form an uneasy alliance as distrust divides them. Goldof insists that he has information that exposes Fremy as the Brave Killer, and Adlet defends her as a fellow Brave. Fremy herself remains completely cold and detached, but it’s obvious that she’s hiding her reasons. After being told by a local soldier that another Brave is waiting for them at a nearby temple, they put aside their hostilities for the moment. Here’s where the mystery really kicks off. After a run-in with a horde of demons, Adlet rushes to the temple — only to find that someone has activated the sealing barrier. This barrier prevents anything from entering or leaving the area, effectively trapping the Braves. Coincidentally, three new Braves arrive: the Saint of Swamps, Chamo; the Saint of Mountains, Mora; and the assassin-for-hire, Hans. That actually makes a total of seven Braves, when there are only supposed to be six. Thus starts a Mafia-like situation where they assume one of them is an enemy, intent on killing them within the barrier trap. 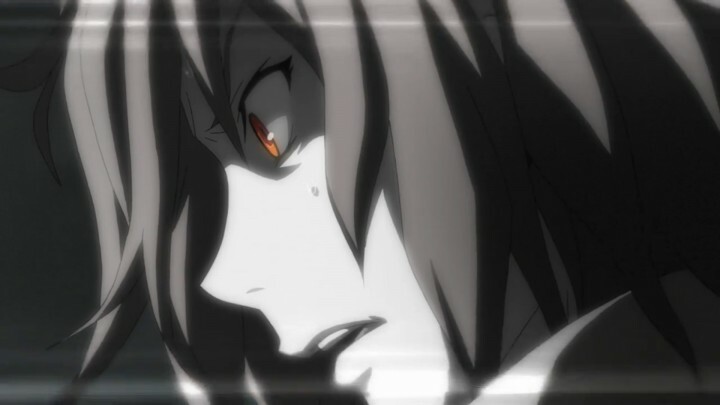 Rokka no Yuusha started to really pull me in here, as the anime becomes more like a crime mystery. Who trapped the Braves in the barrier, and how did they do it? Why has a powerful Saint gone missing? What’s the truth behind Fremy and the Brave Killer? And the biggest one of course: why are there seven Braves? Everyone becomes suspicious, and it’s an intriguing guessing game as the Braves interrogate each other, deny accusations, and pick sides. There were several issues that soured my enjoyment a little. However, there were several issues that soured my enjoyment a little. For one, the animation quality takes a big hit in some scenes, to the point of distraction. The pacing also really slows down with the Braves being stuck in a room, repeatedly reviewing the same problem. And while this is a minor complaint, I quickly got tired of Adlet constantly saying that he’s the “strongest man in the world” in almost every other line of dialogue. After a desperate standoff between Adlet and the other Braves, Rokka no Yuusha finally starts to answer some questions. With the Braves now separated, we get to see more of who they are behind their masks. A flashback about Adlet’s past convincingly cements his determination, and Fremy explains herself fully. We also observe a few questionable behaviors from the other Braves, which kept me guessing who the seventh Brave could be. 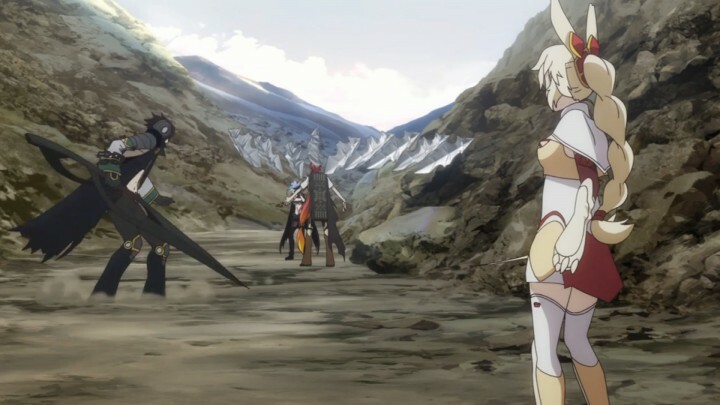 As Rokka no Yuusha builds toward its climax, the pacing starts to ramp up again as the Braves clash. While Adlet is rushing to solve the mystery, the other Braves finally get to stretch their muscles, trying to stop him using their unique abilities. The fight with Hans is a brief but well-executed encounter, mixing both fast-paced melee combat and mind games. Chamo’s ability in particular is surprisingly repulsive. Eventually, with some new alliances and discoveries, Adlet begins to piece together the seventh Brave’s plan. There are even some twists thrown in that spun my suspicions around, keeping the tension high into the final set of episodes. Because of the huge spoiler minefield in these last episodes, I’ll have to refrain from discussing most of what happens here. 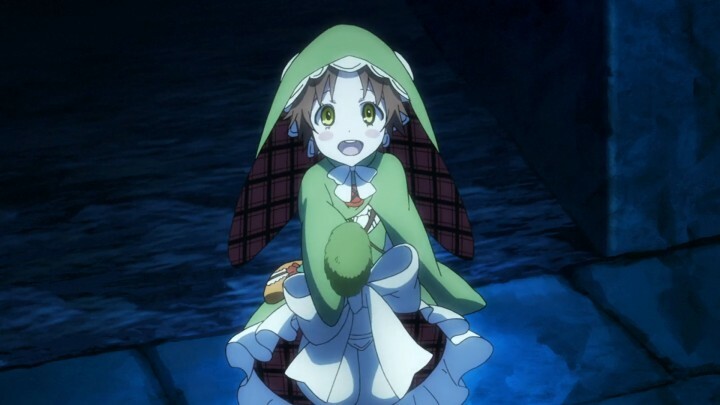 But I believe that Rokka no Yuusha does a good job with its ultimate revelations. The answers to the mystery make you rethink the entire season, with subtle hints dropped from the very beginning of the anime. A few details that seemed trivial at first surprised me with their importance to the seventh Brave’s scheme. I really appreciated how there weren’t simply new scenes that explained the mystery — the clues were there all along. And when all of the pieces are in place, the seventh’s identity makes sense, and doesn’t seem like a forced plot choice. However, there is something that bothered me about the Braves’ behavior. Most of the Braves, even though they’re all exceptionally talented and capable, just seem to blindly believe what they’re told. One minute they’re persuaded to side with someone, and the next minute they completely change their mind after only hearing a few words from another person. The characters seem more than happy to switch allegiances almost on a whim, making the tension feel forced at times, and serving mostly to get the Braves to fight each other. The mystery only deepens from here. 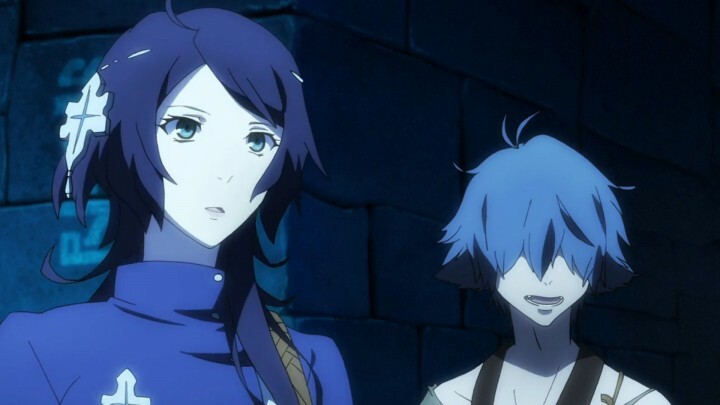 Rokka no Yuusha is an anime with many faces, just like its characters. It may come off like your typical fantasy adventure at first, with your standard band of heroes going off to slay a powerful demon. But very quickly it pulls the rug out from under you with its imposter mystery, and keeps the suspense engaging up until the very end. It’s unfortunate that the production values and plot pacing weren’t more consistent, because they spoiled an otherwise very solid anime. What’s more, there’s a final twist that is a fantastic setup for a second season. Regardless of whether that second season ever gets made or not, I know I’m at least going to keep reading the plot from the light novels, because the mystery only deepens from here.